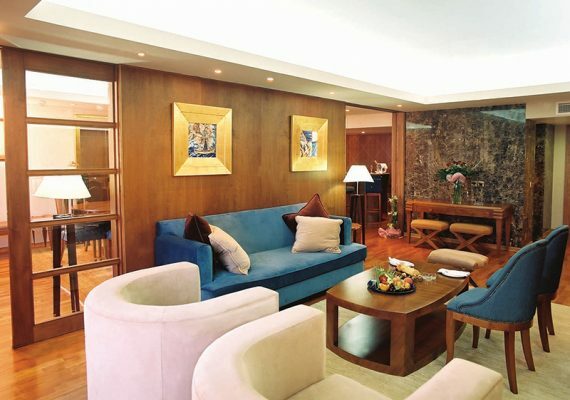 This impressive three-room suite has a wonderful view of the Mediterranean Sea and pools of the hotel. All three rooms are of a sumptuous interior with the master bedroom comprising of a king size bed, chaise lounge and en-suite bathroom with a Jet Shower, double marble basin, bidet and Jacuzzi. The living room has a stylishly furnished sitting area, satellite flat screen TV, DVD player, CD player, mini bar, iron and ironing board, tea/coffee making facilities, espresso machine. 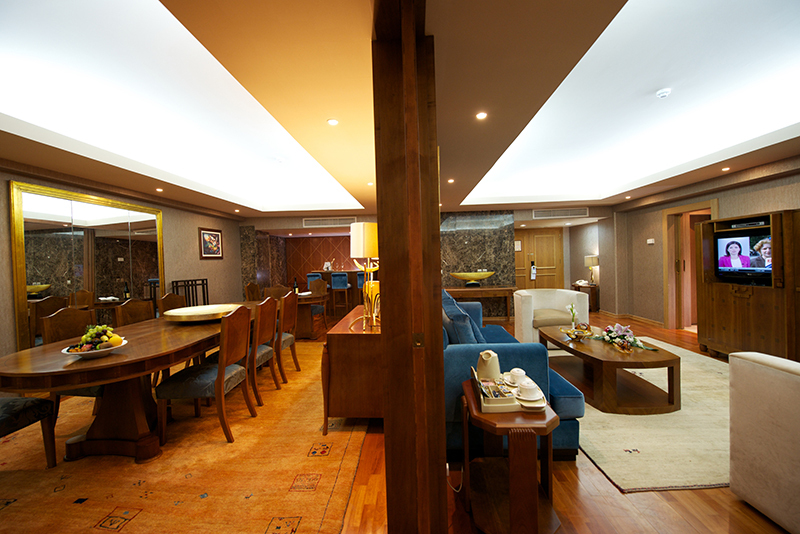 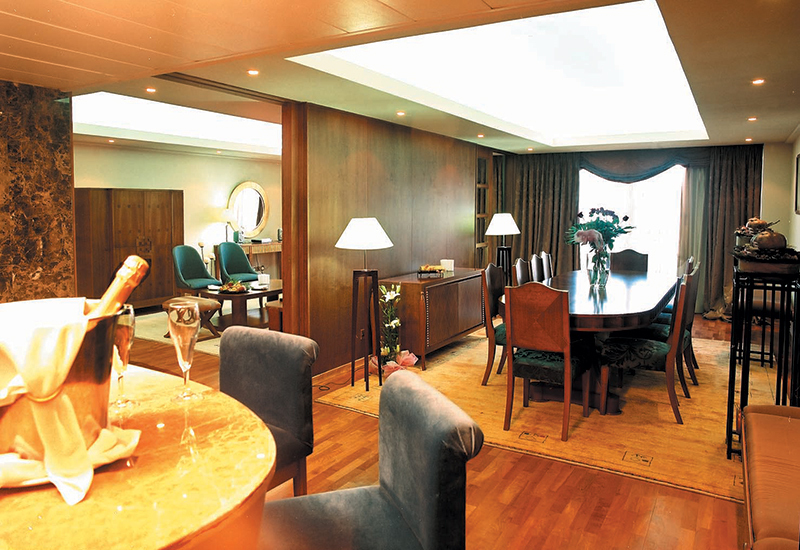 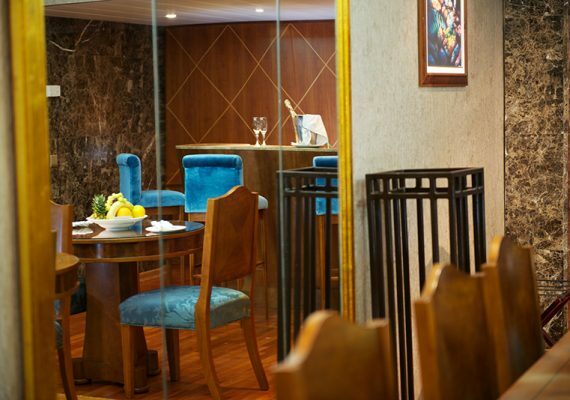 The third room comprises of a magnificent dining area that seats ten people and has its own private bar. 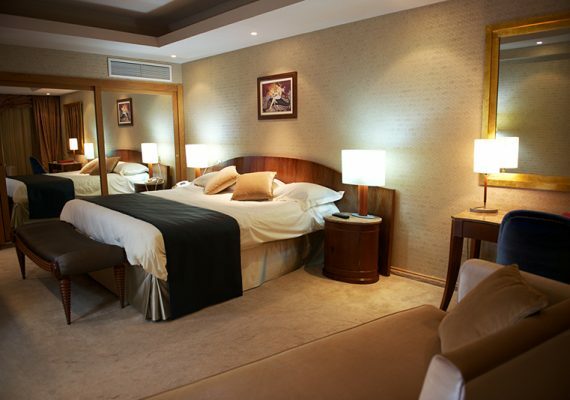 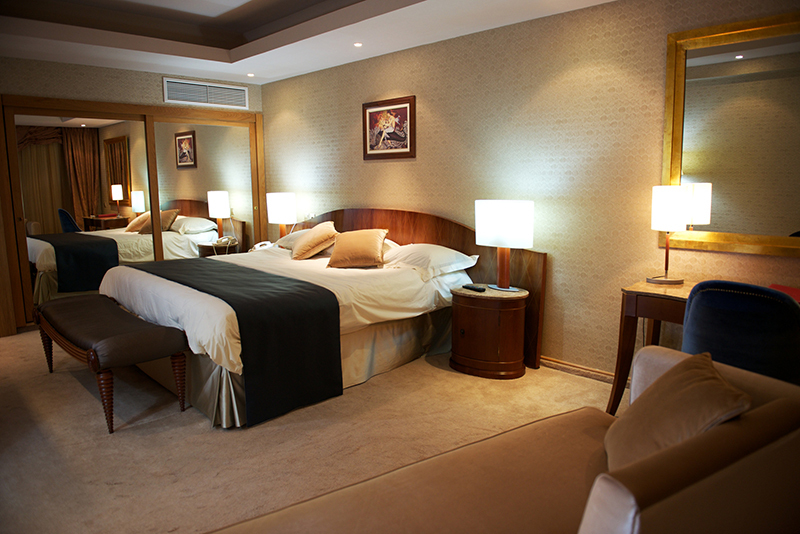 This Suite also has a separate guests WC/washroom, free safe, free Wi-Fi and bath robes, slippers and bath amenities. 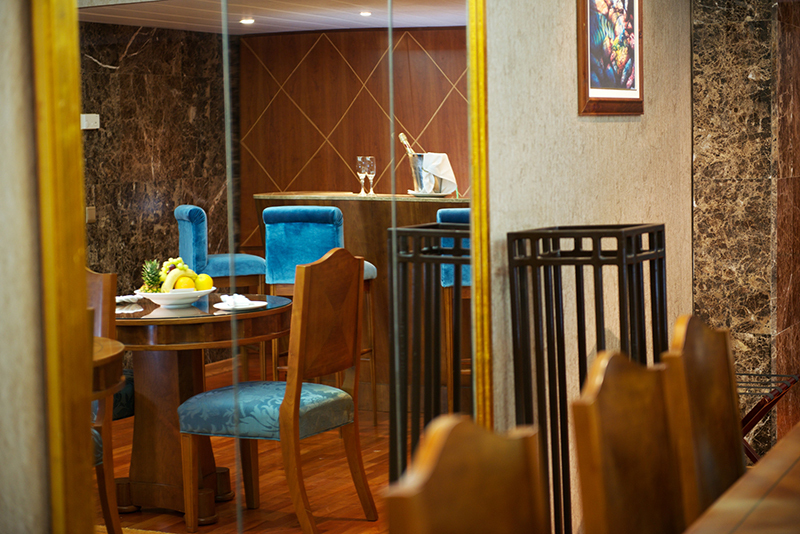 The balcony is furnished with 2 sun beds, a wooden table and chairs. 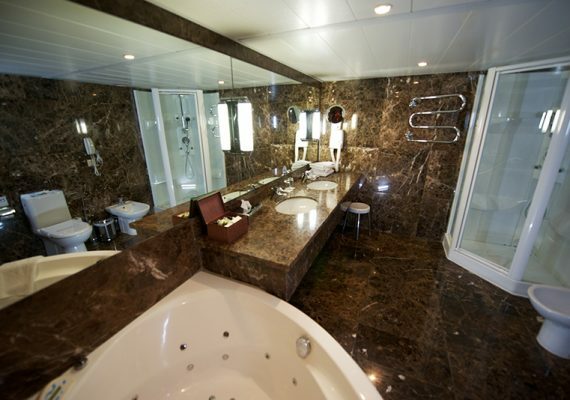 Bath, walk in – Shower, Jacuzzi, shaving mirror, bath robes, slippers, A/C, 2 satellite TVs, telephone, hair dryer, iron and ironing board, mini bar, DVD player, CD player, complementary coffee/tea facilitoes, espresso machine, free Wi-Fi, free safe, complementary fruits on arrival, complementary water in the room, sun beds on the balcony, special winf upon arrival .